Home › The limited Edition Australia Gold Notes Collection. 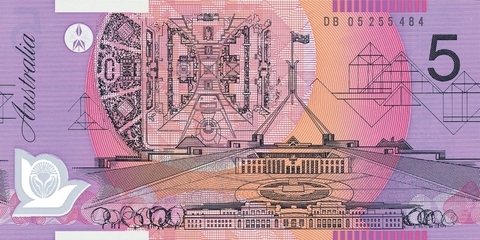 The limited Edition Australia Gold Notes Collection. Exemplified in 99.99% pure gold. Distributed in over 200 countries, minted in 99.99% pure gold and bearer of huge historical significance, the Millennium Australia Gold Note is recognised worldwide as the most valuable collectors' dream come true. A Golden Collection of 5 New World Records! World's 1st full-scale (1:1) bank Notes in Gold! Produced in exact size to capture the full glory, a feat not achieved before as use of gold as a precious resource has often been limited to reduced scales. Equally record-breaking is the size of the Gold Notes, the largest ever to emerge! Gold purity of 99.99% with a total gold minted area of 4660mm2 authenticated by the Reserve bank of Australia. 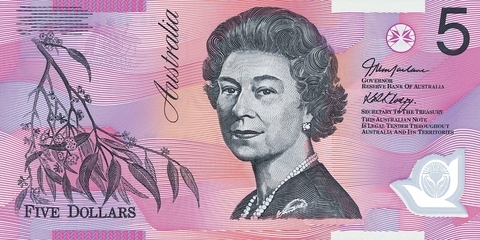 Australia's 1st-ever Gold Notes collection! A landmark collection to commemorate a milestone in Australia's history. With a suggested global retail of US$599, the complete set is now available to you at a special limited edition price of just US$399 (approximately US$1 per cm2). Unquestionably the best buy of the millennium! A collection of infinite value in 99.99% pure gold in a unique designed packing. A collector's dream come true set to be a heritage cherished by generations to come. Of superior quality, culmination of excellent workmanship, years of expertise and cutting-edge technology from Germany and Japan. A collective effort by renowned Australian and American designers distinctively capturing the exuberance and glory. Copyright in this product and packaging is vested in K.C. America Pty Ltd. and no reproduction thereof is permitted except by authority of K.C. America Pty Ltd.
Reproduction of the Australian currency designs in these products have been authorized by the Reserve bank of Australia and other designs are used fully in accordance with the applicable laws of Australia. Leo Cruise & Co.Solicitors, Attorneys and Notary Public. Certificate of Authorisation by the Reserve Bank of Australia for the full-scale production of the Australia Gold Notes Collection. Notarised by Australian lawyer leo Cruise.